The accommodation, with private entrance, offers free Wifi, a refrigerator with freezer, dishes, large veranda with table and chairs for outdoor dining, free parking and a barbecue area. 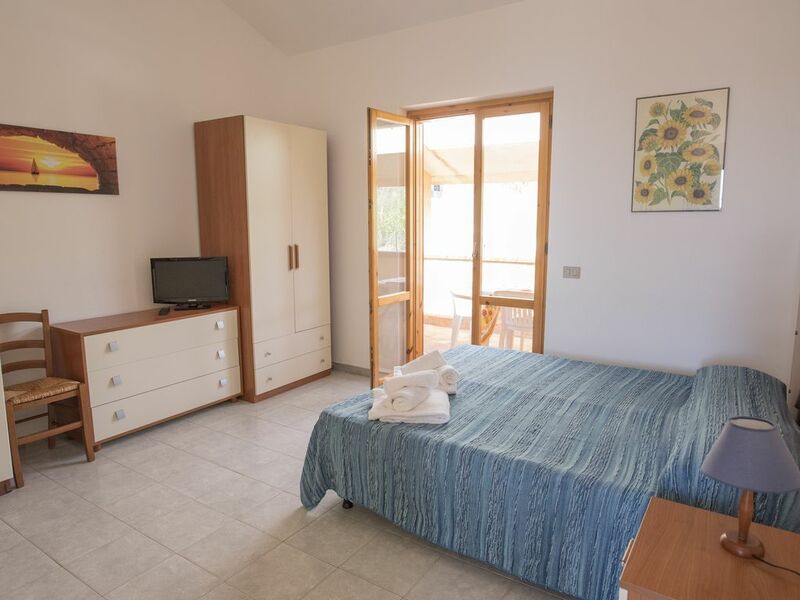 The property, surrounded by the green Mediterranean vegetation is a good starting point to visit all of western Sicily, at the center of one of the most beautiful archaeological sites in the world, between Selinunte and the Valley of the Temples in Agrigento. Are easily accessible known places like the charming Turkish Steps, the beaches of Memphis and Eraclea Minoa, the nature reserves of Torre Salsa, Belice and Zingaro. Just one hour from Palermo, Trapani and 10 minutes from Terme di Sciacca. On arrival, our guests will be able to park your car inside the residence, relax in the shade of the pine forest and enjoy the beautiful views. Families will entertain children in designated areas for games; for the older ones are available tennis courts / grass soccer, also will compete in exciting games of table tennis and table football. During their stay, guests can use the barbecue made available to them, and delight in delicious grilled fresh fish of Sciacca. Upon arrival guests will be provided some useful information on the most popular destinations to visit in the area. Linen are included in the price and, on request, bath towels at € 7,00 per person per change. Will be provided to tourists password access to the internet.